Hello this one was rejected for motive (too much to the right) and soft. Is it really unbalanced like the screener says? I think I have seen similar shots like this before and wonder what is wrong with it. Agreed with screener? Unfortunately it is displayed in wrong size (too big) in this post (at least at my computer) and therefore I can not ask opinions about quality right now. Last edited by spompert on Fri Jul 15, 2016 8:01 am, edited 1 time in total. Honestly I agree with screener, usually I cut until I reach the plane nose or I balance the two engines so I cut the left side. I see the image @ 1280x854, I don't know if it was the original size but I see it very soft. Thanks, I have edited the mainpost so now the photo is visible in real size (1024). So you mean it would be better to cut off more of the right side? I have to be honest the whole right(side) wing is not of good quality and therefore I prefer to not display it. I don't know how much original shot is cropped but you could try to cut on the left around the initial part of the central flap on the left of engine and, on the right you could cut a bit more. You could crop closer to the engine on the right side of the frame, but in my opinion it will still be unbalanced then. Quality looks pretty marginal to be honest. I am not on my screening comp but it also appears to have some softness/heat haze to it. Out of curiosity, I just searched the database for accepted images with a similar crop. 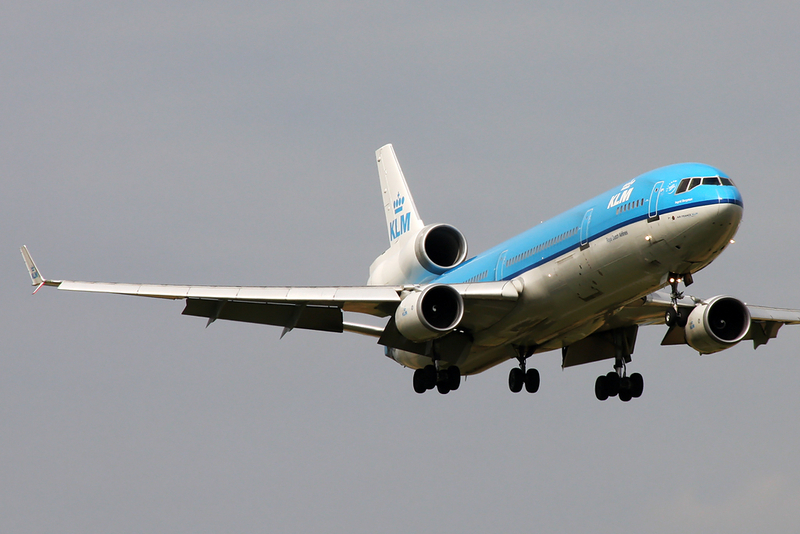 Especially with regard to your second image (KLM B777), a rejection for the motive is ridiculous. So, I would rather suggest to change your name than the crop. Hello the following photo was rejected for dark and motive (too many obstructions). Is the motive rejection justified in this case? I thought with a window view the main subject is the plane of which the wing is shown and the background is less important. Ofcourse it should be interesting enough like a landscape or in this case an apron with some planes (and that there are some obstructions is not that kind of a problem)? There are enough window views with no planes at all in the photo. The rules are applied for the background and that`s at least new to me. Hopefully you get my point. It could be that this shot is not interesting enough for the database but that`s another discussion. I think you have a valid point on the motive. Motive-wise your image is fine. I am trying to get my first silhouette shot accepted. It`s getting rejected for dark twice now (and oversharpened last time). Isn`t the subject of a silhouette supposed to be dark? Or do they mean the space around it? It might not be a good example for a silhouette and maybe better move on. Not sure. Re. the silhouette, perhaps if the sky had some color, it would make for an interesting image. Otherwise, I can see how it an be judged underexposed/dark/backlit. Definitely see jaggies on the trailing edge of the wings and horizontal stabilizer. Re. the window shot, overall the wing and winglet look underexposed. Looks like you exposed for the background. Overall, it looks dark. Soft as well: perhaps a result of shooting through layers of the window. Banding refers to the dark gradation at the top of the frame compared to the mid section. It looks very pronounced in this image. IMO, best to move on. For what it's worth Stefan, that's one helluva view! Yes Kas that was quite a flight, flying along the Himalayas in Nepal. Sharpness looks fine to me. Can I confirm that this image was rejected for oversharpening? Hi, yes it was only rejected for oversharpened. Should I appeal this one? Stefan, I think it is passable and with an appeal. Thanks both, I`ll try to appeal. Oversharpened was upheld but now blurry and quality was added. "Insufficient quality at such large size". Didn`t see that one coming. It's easy to say this now, but earlier today I did think blurryish, but when I looked at it later (when I posted), I thought it was passable. Sorry for the wrong advice. No problem, I had a look at the original and indeed it is not the best I ever have shot. I`ll retry at smaller size later. Ah...my miss as well...I just viewed the image that you embedded. I down loaded it and looked at it at full size, and see the blurry. Next time I need to download and view the image at full size before dispensing an opinion!!! Stefan, perhaps the screener is judging based on the vertical posts in the background. Based on those, some CW rotation is needed. I adjusted in PSE and about 1 degree looked like it should be OK. As for noise, at full size, some noise is visible in the dark area of the engine exhaust area. Without the registration number, I can't tell if this is a common airframe (i.e >100 images already in the DB). If yes, the standards are more stringent for acceptance. There is no maximum gap distance, it's up to the screener. While the above crop is passable for me, it really shouldn't be any bigger without a good reason. Hi Stefan, I think you may have benefited from the fact that there was only one other image of this aircraft/registration in the database and therefore "rare." If this had been a common airframe, it probably would not have made it. Best to crop close to the aircraft unless there is good reason (motive) for space between the edge of the frame and the aircraft. yes it is a bit soft, visible around the titles. I think the fuselage could do with another pass of sharpening. As for the noise I am pretty sure that the darker taxiway is meant, as I had similar rejections for noise lately. In my personal opinion that is pretty minor, but you can work on it when sharpening it more and it should be fine. I can help you with the noise if you want send me a mail. Hi Stefan, I looked at the full size image and there is visible noise in the dark areas of the rear of the engine--sufficient to warrant a rejection. Soft area is minor IMO. To be honest, the fuselage of the A350 looks a bit blurry. As for the 737, sharpening looks alright, but a bit marginal in general. Thanks, I retried the A350. This Turkish was rejected for overexposed. I can only see some overexposure on the back (some flare) but I did not thought that it would be a problem. Maybe the tail logo is to bright? Hi Stefan, the entire fuselage seems overexposed and "glary". To me the window line looks rather washed out. Sometimes the angle of the light just does not cooperate! Thanks, you might be right. I`ll try another shot. I see your SQ A350 got accepted...nice! Yes, thanks Jehan, special thanks to Julien for helping with editing! You're welcome Stefan. Just for the record: Actually the original is of decent quality (really sharp), the problem was just that the exisiting file was reworked quite a few times which made it look like maybe having some quality / sharpening issues. Hi guys, rejected for pink cast. I personally don`t see it that much, maybe a bit yellowish. But on the other hand it was quite late at day. Opinions wanted, thanks.